If you’re a driver, tire safety should be an important part of your daily routine. As an RVer, tire safety should be an even more crucial part of making this relaxing hobby as relaxing and worry free as possible. If you keep up with the news, I am sure you have seen at least one of the many RVs that have popped into headlines because of a catastrophic tire failure. One of the most recent in the news is the chilling footage caught by an 18-wheeler that shows a Class-A MotorHome losing control after a blow-out, veering into oncoming traffic. In April, there was an instance where a mother and daughter needed to be rescued from a flaming MotorHome. And what caught the MotorHome ablaze? A blown tire! This post is not to create fear, but to urge you… Take tire safety seriously! We want shed light on some things you can do to make sure your tire’s odds are stacked in your favor and not the other way around. The easiest part of making sure your tire is ready for the road is to check its manufacturing dates. Tire manufacturer’s place the date the tire is constructed on the outer wall of the tire. 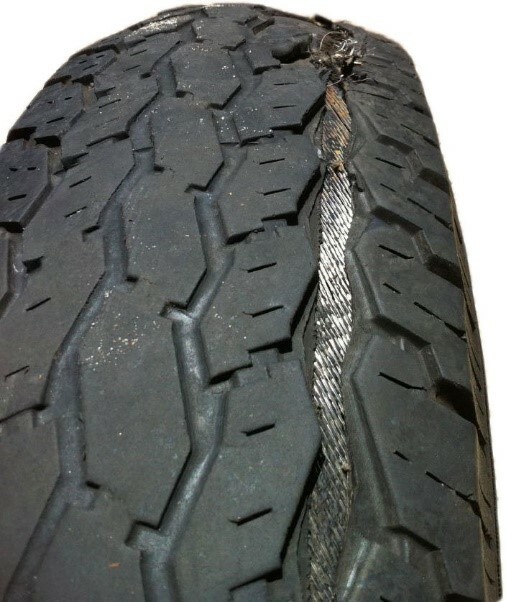 The reason for the date is, over time, the tires will degrade internally (also known as internal tire rot). This can cause sudden blowouts and other related tire failures. Even if your tire looks brand new, you should replace your tire if the date on the tire is older than 5-6 years. Also, it is good to keep this is mind when you are purchasing a new tire. It’s also good to write down the date in a log or calendar (digital or on a tree). That way it can be one of the things to check before hitting the road. Improper weight and/or the distribution of weight can cause uneven tire wear and increase the chances of a tire failure. Having your RV weighed when fully loaded allows you to absolutely know what pressure your tires should be. Fully loaded includes passengers, food, clothing, water, fuel, supplies and any towed vehicles behind a MotorHome and the tow vehicle for an RV trailer. Each tire manufacturer supplies a load and inflation table to adjust to the correct pressure. These tables can be found at your local tire shop or online through the respective manufacturer’s website. There is a great article that can be found on rvsafety.com by John Anderson that talks about tire load and inflation ratings. 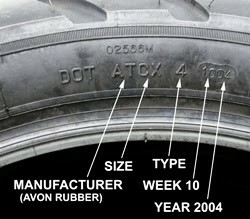 It can be found here: http://www.rvsafety.com/rv-education/tire-load-and-inflation. If a single tire goes low or flat in storage, this can put strain on all of your remaining tire positions and decrease their lifespan. If your RV is in storage, you should check your tire pressure at least once a month. For ease, you can use a tire pressure monitoring system to quickly check all of your tire pressures. Please keep in mind that most TPMS systems take between 4 to 30 minutes to receive updated (new) readings from all of your rigs tire positions. Some systems, like the TireMinder® TPMS, include a feature where you can press a button and receive all updated tire pressures. 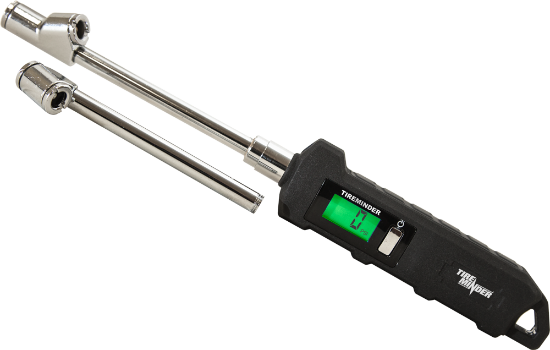 While a TPMS is great for making sure your tire pressures stay stable, when filling up your tires use a single, highly accurate gauge. Because every gauge will give a slightly different reading, it is best to use one gauge so your tires are inflated equally. The reason a TPMS is not recommended is because a TPMS is comprised of 4 or more gauges (each transmitter is a gauge). We wouldn’t be in this business if we didn’t believe in using a TPMS. Tire pressure monitoring systems can save you from tire failure or, in case of a sudden blowout, get you off the road immediately before causing even more damage to your rig. 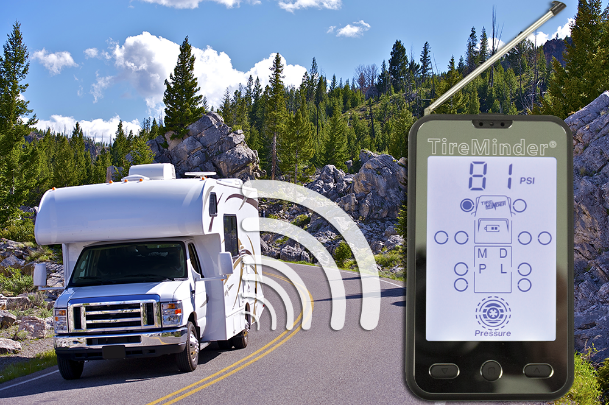 In fact, the majority of the RV industry, from Goodyear to Good Sam, recommend using a tire pressure monitoring system. Over the years tire pressure monitoring has become simplified. The TireMinder® TPMS, for instance, can be setup in as little as 10 to 20 minutes. To see how easy it is to setup the TPMS, take a look at our installation video on YouTube here: https://www.youtube.com/watch?v=-s5uGx09ZIY. Have a great tire safety tip? Story of a particular tire mishap? We here at Minder Research would love to hear it! Keeping safe is all about learning, please share your tips and stories below in the comments.